Has the army banned men for a women-only front line? Um, no. Political correctness gone mad, of course, as men have been forbidden from joining the army, reports the Tele. But is it a ban? 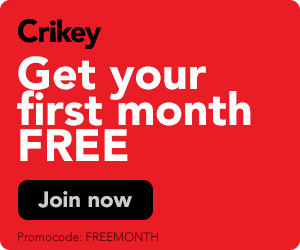 "The Australian Army has put a ban on male recruits in its politically correct push to increase female ranks, including those on the frontline in combat roles." Has the army really banned male recruits? Richard Farmer’s Chunky Bits, Item 15, yesterday, makes a good point in principle about the need to reconstruct the Department of Defence in detail, writes Neil James, executive director, Australia Defence Association. The Budget brought new Defence Force initiatives as a result of the Force Protection Review. Not before time, says defence analyst Mark Thomson. 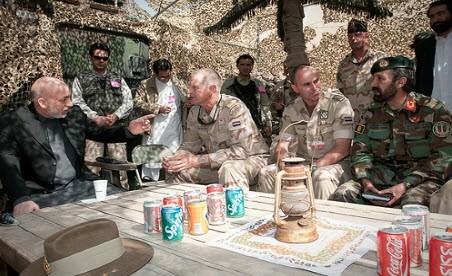 Afghan President Hamid Karzai and ISAF Commander General Stanley McChrystal met with Australian troops in Afghanistan over the weekend -- not that Australian media noticed writes James Brown. New ways of beating the heat barrier to sustained hypersonic flight are being researched in Queensland. But don't get excited about two hours flights to London because the main interest in the technology comes from the military, explains Ben Sandilands. Why question defence force loyalty because of religion?